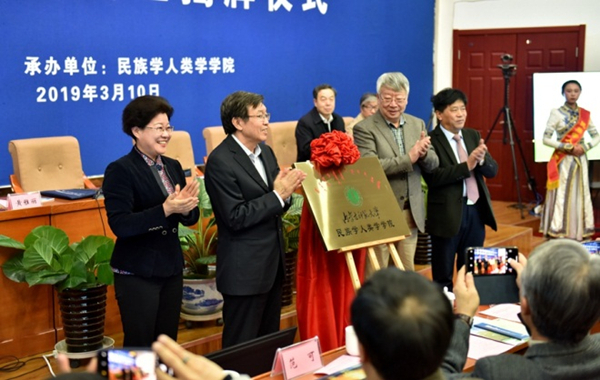 A ceremony marking the establishment of the College of Ethnology and Anthropology took place at Inner Mongolia Normal University (IMNU) in Hohhot, the capital of North China's Inner Mongolia autonomous region on March 10. Attendees participating in the ceremony included scholars from the Chinese Academy of Social Sciences, institutes of ethnology and anthropology and many universities across China. Huang Yali, Party secretary of IMNU, welcomed those in attendance and introduced some of the features of the new colleges. She also outlined areas where the education provider could be developed further in the future. After the ceremony, a meeting on the development of ethnology and anthropology was held for attending scholars to debate with each other.